Are you looking for somewhere remote? Or would you rather be closer to the farmhouse? 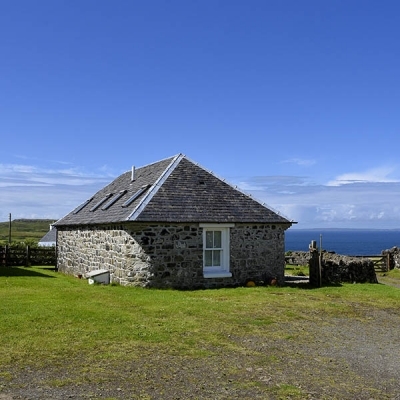 We hope that this page will help you with which cottage to choose! 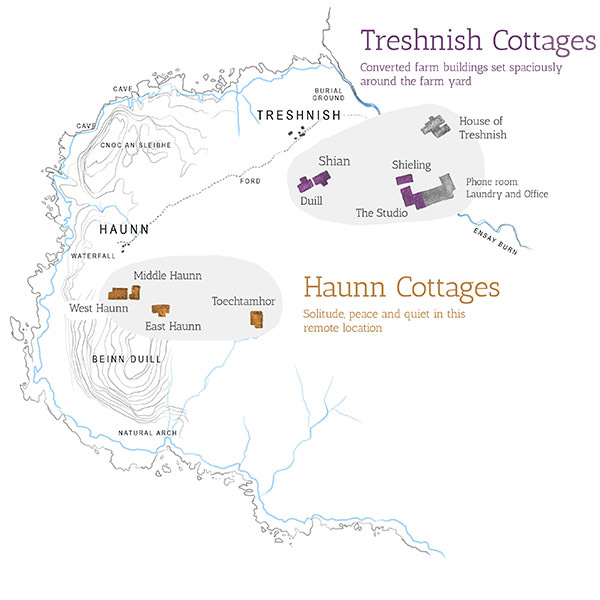 There are subtle differences in location between Haunn and Treshnish. The extra mile from the farmhouse at Treshnish down the uneven farm track to Haunn can seem a long long way. For some, it can be a mile too far – but for others it might not be far enough. 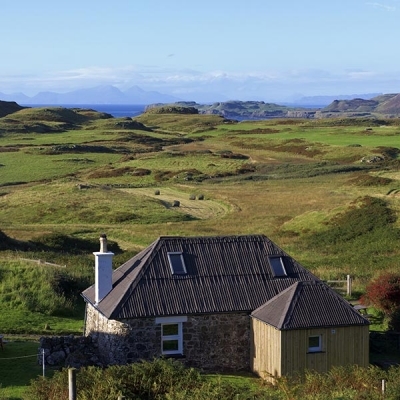 The comforts and amenities provided in all the cottages are of a similar high standard, irrespective of whether you are at Haunn or Treshnish. The Treshnish Cottages are traditional farm cottages and converted farm buildings, just under a mile from the main road. 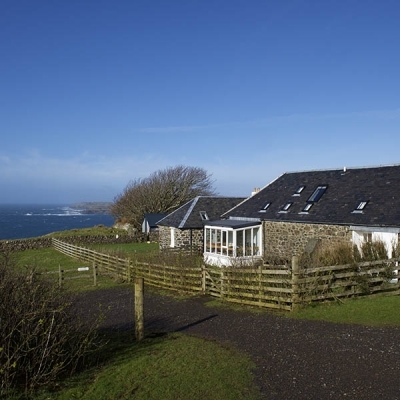 Situated beside and near the farmhouse, Shian, Duill, Shieling and Studio make up the four Treshnish Cottages. 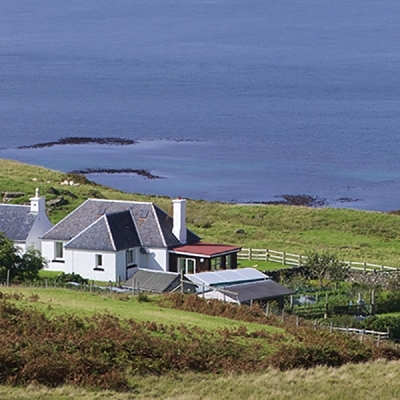 Each enjoys a sea view over towards Coll and beyond. They are heated via the wood-chip District Heating Scheme and Studio gets its electricity directly from one of our wind turbines. 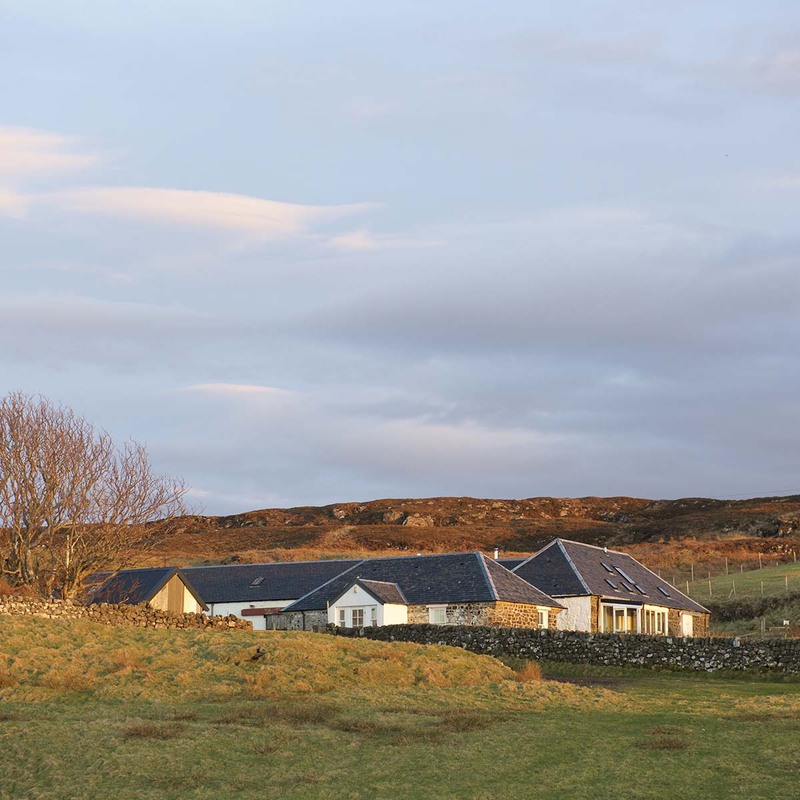 The contemporary working farmyard is at a discreet distance from the cottages. Access from the main road is along an uneven farm track. Shian and Duill are former farm workers cottages. 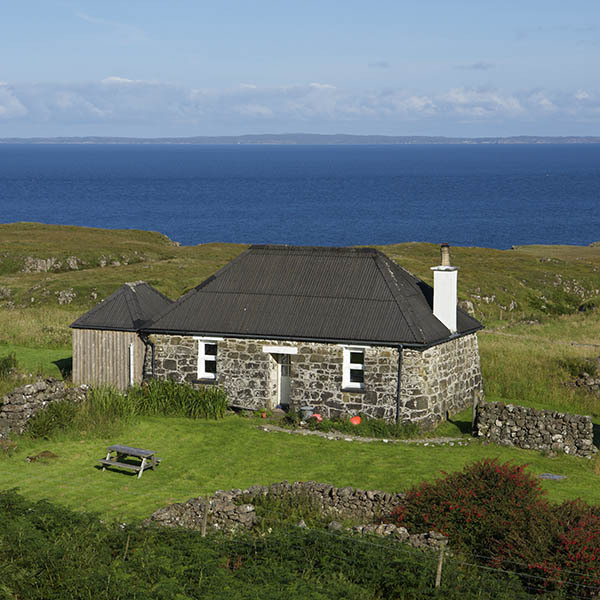 Shieling was returned to its original use as a dwelling in 1999 having spent decades as the ‘stallion box’ and ‘generating shed’. 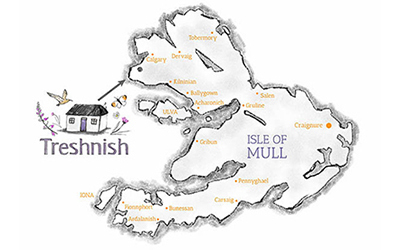 The previous owner of the Treshnish Estate was a ’Lady of the Bedchamber’ to the Queen Mother, with the Studio used as a dairy and Byre. Reputedly Treshnish butter was sent to Clarence House in London! Searching for unique and peaceful Isle of Mull cottages? The Haunn Cottages are just that. A two mile drive along the farm track delivers you to another world where three historic blackhouses, West, Middle and East nestle into the landscape, and a whitewashed bungalow, Toechtamhor sits alone in open landscape with wonderful sea views – Haunn is tranquil, beautiful and remote – a very special place. Haunn is a Norse word meaning ‘harbour’ and refers to the natural harbour cut into the shoreline half a mile beyond the present settlement. There is a ruin of a small ‘byre’, behind Middle. The ‘kailyard’ was where vegetables were grown. By 1945 the last family to live here had moved to Dervaig. Some of their descendants still live on the island. East, Middle and West ‘blackhouses’ were originally crofters’ homes. Even in those days Haunn was remote, and the families who lived here survived by working on both the land and the sea. Their children walked to school from here, latterly to Mornish beyond Calgary, once the Treshnish school had closed. It takes about 15 minutes to drive to the Haunn Cottages from the farm, along the uneven farm track through fields. The sense of quiet and timelessness grows as you approach Haunn so that, on arrival, it can feel as if you have stepped ‘out of time’. This remoteness may not suit everyone but if you are looking for an exceptionally peaceful and remote setting in which to escape from the busy world, or perhaps a simple romantic retreat, one of the Haunn Cottages may provide that haven. Because of our remote location we do not have mains water. 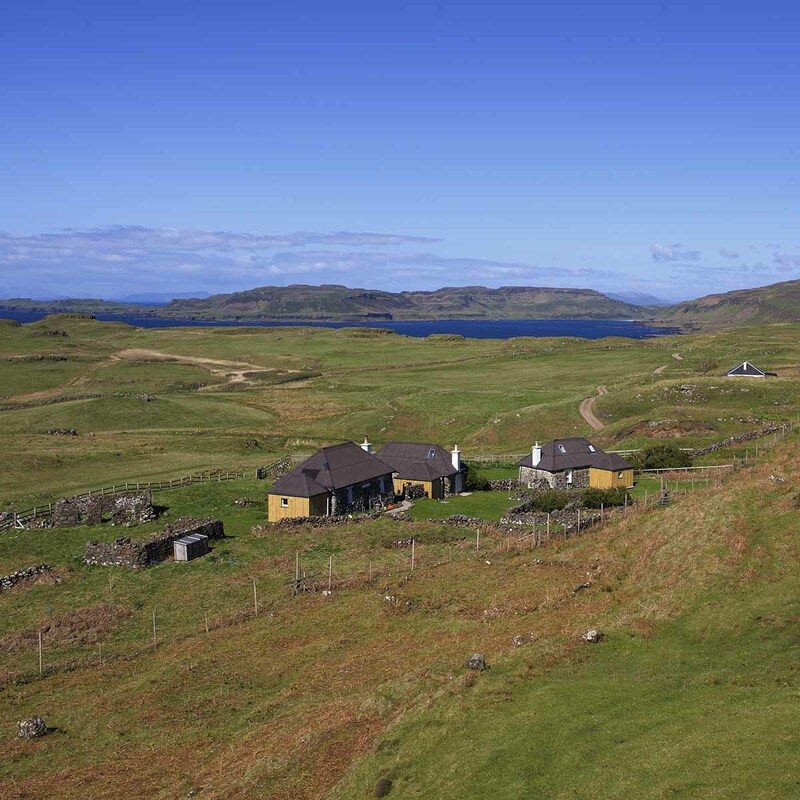 A borehole supply serves the farmhouse and the 4 Treshnish Cottages. Water for East, Middle and West is sourced from the same shared spring. Toechtamhor has its own spring supply. Each water supply is carefully maintained and regularly tested according to current regulations. The peace and quiet at Treshnish and Haunn attracts wildlife such as red deer, which come and graze on the hill above the Haunn cottages. Look out for otters along the shore. 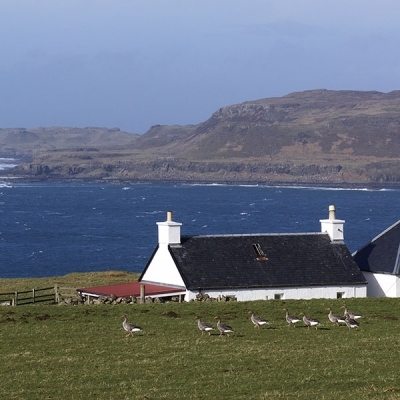 You can sometimes spot a hen harrier or a golden eagle from a cottage window. In early summer, orchids (common, butterfly, fragrant, frog, marsh and small-white) can be awesome in number. They are part of a rich diversity of flowers present and thriving in the carefully managed fields around the cottages. There is 3G/4G mobile reception on the farm (EE, Vodafone). In the Reference/Phone Room at the Farm we have a landline which guests are welcome to use. Please borrow a book from the shelves of local and Scottish interest books. 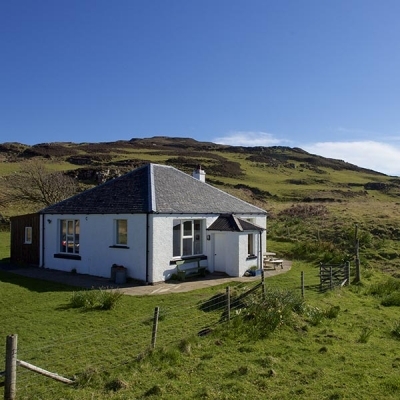 There is a Wi-Fi connection which East, Middle and West guests are welcome to use – along with the washing machine! We sometimes have our own meat for sale from the freezer. 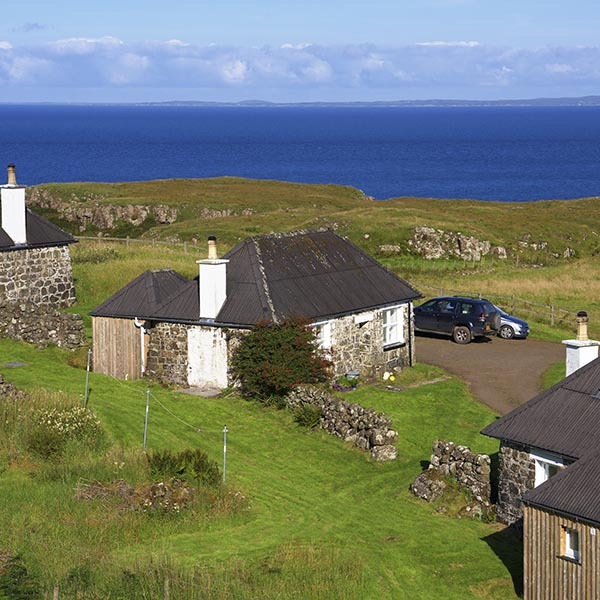 Please get in touch with us if you have any queries about which of our cottages might suit your requirements best. It is important to us that you feel you have made the right choice.